Examining the dog adoption journey so that Petfinder may better serve first-time adopters finding their forever friend. This work was completed as part of design concepts course and is not endorsed by Petfinder. 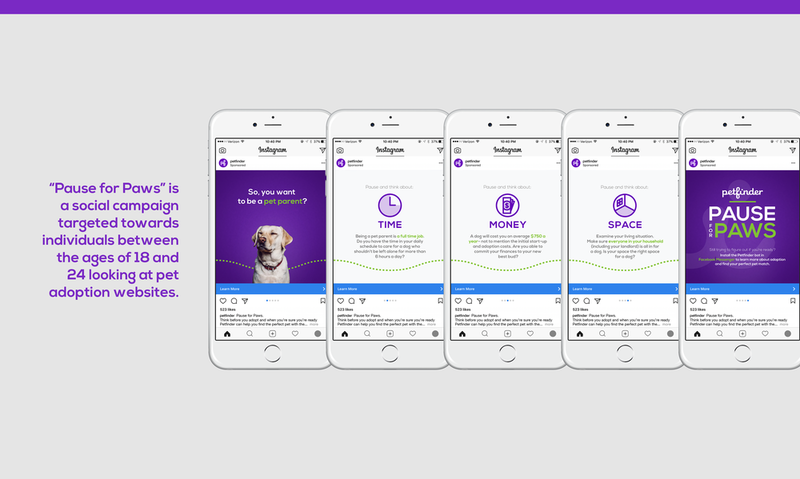 Augmenting the dog adoption journey to create more informed adopters. Petfinder is a pet adoption website that connects individuals to animals from over 14,000 shelters and rescue groups. We examined the dog adoption journey so that Petfinder may better serve first-time adopters finding their forever friend. This work was completed as part of a design concepts course and is not endorsed by Petfinder.